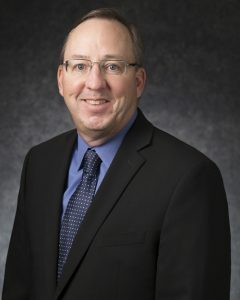 David Williams is a senior design-build manager at ABR with 31 years of transportation experience including public-private partnerships, design-build, and procurement engineering. David is experienced in leading complex, controversial, large-scale projects and programs throughout the U.S. He has led numerous engineering and environmental projects requiring leadership, technical planning, and design skills to effectively lead multi-discipline/multi-firm teams. David is effective in managing projects and staffing requiring a high level of responsiveness. Upon initiation of projects, he develops detailed work plans and schedules, and monitors progress alongside budget and plan milestones (earned value). He has produced contract documents, engineering agreements, cost estimates, monthly progress reports, and invoicing. David has established a track record in meeting budgets, as well as keeping schedules and projects on target. He has managed programs relating to planning/environmental, route studies, design schematics, preliminary and final designs. He assists in the coordination of constructibility reviews, development, and approval of design improvements through the use of task forces.